Bob is the author of over 75 books including Careers for Writers (McGraw-Hill/VGM), Secrets of a Freelance Writer (Henry Holt), The Copywriter's Handbook (Henry Holt), The Elements of Technical Writing (Alyn & Bacon) and The Elements of Business Writing (Alyn & Bacon). McGraw-Hill calls Bob Bly “America's top copywriter,” and he was named 2007 Copywriter of the Year by American Writers and Artists, Inc.. His copywriting clients include such publishers as Kiplinger, Boardroom, Phillips, Agora, KCI, Nightingale-Conant and Medical Economics. He has published more than 100 articles in Amtrak Express, Cosmopolitan, Writer's Digest, DM News, New Jersey Monthly, City Paper and many other publications. Bob writes regular columns for Target Marketing, a monthly trade publication covering the direct marketing industry; Early to Rise, a daily e-newsletter on business success; and The Writer. The Direct Response Letter, Bob Bly's free e-newsletter, has over 50,000 subscribers. Bob has given lectures on marketing, writing and freelancing to numerous groups, including the American Writers and Artists Inc., National Speakers Association, Learning Annex, American Seminar Leaders Association and the American Society of Journalists and Authors. 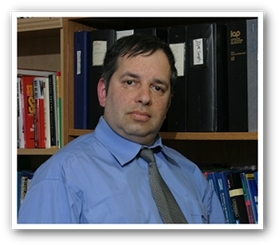 He is a member of the Specialized Information Publishers Association and the American Institute of Chemical Engineers. He holds a B.S. in chemical engineering from the University of Rochester and has taught technical writing at New York University. Prior to becoming a full-time freelance writer in 1982, Bob was a technical writer for Westinghouse and advertising manager for Koch Engineering.